Because of the skull's anatomy, the upper jaw is one of the most problematic regions to place dental implants. If bone loss in your upper jaw has caused your sinuses to expand, a sinus lift can restore your candidacy. At his practice inNew York, NY, Dr. Navid Baradarian can perform a sinus lift with advanced technology and sedation options to create a stronger base for your dental implants with minimal discomfort. When bone deterioration from tooth loss affects the upper jaw, the sinuses may expand to fill the empty space. Consequently, there is less room for implant posts. Even if you have not lost bone tissue, you may have a naturally low sinus floor that makes implant placement difficult or impossible. 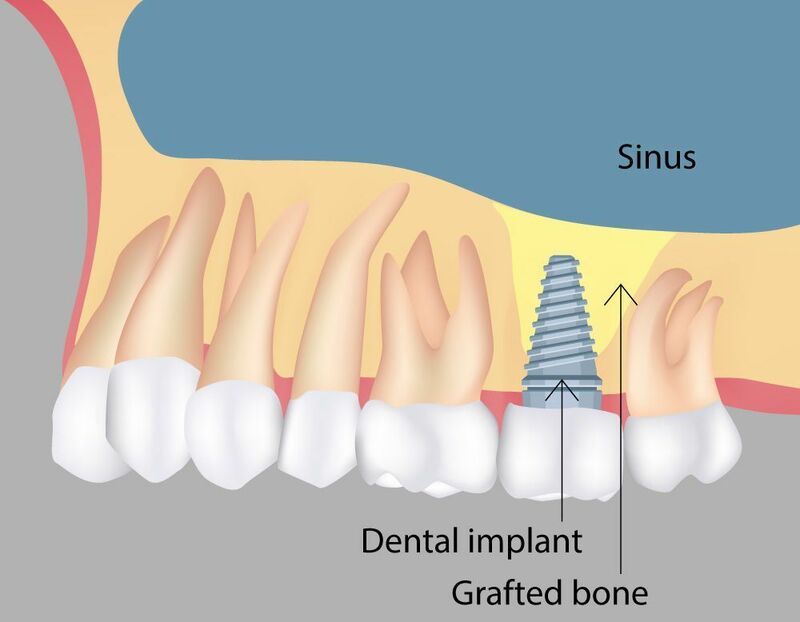 A sinus lift is a special type of bone grafting technique that boosts bone growth and raises the sinus membrane to create the space necessary for implants. Before surgery, Dr. Baradarian will conduct a thorough examination of your jaw and sinuses using a cone beam scanner. This technology allows him to digitally measure the height, width, and health of your sinuses to create a detailed surgery plan. With 3-D imaging, high-resolution imaging, Dr. Baradarian will also be able to visualize and avoid important biostructures. Careful planning can help make your procedure and recovery as simple as painless as possible. In order to boost candidacy for implants, sinus lifts are usually performed several months in advance of implant placement surgery. During the procedure, Dr. Baradarian makes a small opening in the gums and upper jaw to access the sinus floor. He can then gently raise the sinus membrane to form a small cavity. He then fills the remaining space with biocompatible grafting material to maintain this new position before closing the incision with sutures. "At our practice, we use state-of-the-art dental technology to perform sinus lifts and other bone regeneration procedures that can renew your eligibility for implants." In some cases, Dr. Baradarian may be able to place implants at the same time as a sinus lift. However, this will depend upon the amount of healthy bone already present in the area. Most patients must wait a period of six to nine months before implant placement surgery. During this recovery period, the bone graft will fuse with your jawbone and lay a stable foundation for implant posts. Immediately following the procedure, you may experience some swelling or minor bleeding. It is important not to blow your nose or sneeze forcefully for several days to maintain the position of the bone grafting material. Dr. Baradarian may provide you with a saline spray or other prescription medicine to prevent congestion and inflammation. He may also prescribe you pain medication, antibiotics, and an antimicrobial mouthwash to safeguard against infection. Patients with non-dissolvable sutures will need to return after about seven to 10 days to have them removed. Once the initial healing process has ended, we can schedule follow-up appointments to monitor your progress.